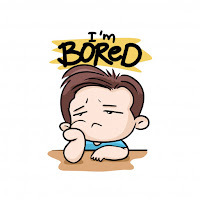 "I am bored....I AM BORED...." - And that is a sentence most often used by children and one that terrorizes almost all parents. Come summer and every parent, working or non-working, draw a big face, sighing how hard their lives are going to turn. I am not judging anyone for I find myself on the very same boat. My son wakes by 7:00 a.m and by 9:30 he has done painting, played with his play-doh, blocks and lego set are scattered, the toy train-set has been assembled, played with and now thrown in disarray. He promptly comes to me saying, "I am bored!". And I watch in dismay thinking my morning has just started! The maids are yet to come, breakfast has just been made, the kitchen counter has to be cleared, laundry is stacking and am yet to enjoy a peaceful cup of coffee. Add siblings into the picture and you can be assured of further chaos, screams and squabbles. Screaming - mostly yours. Most parents find a quick and easy solution to this - Summer Camps. Pack them off to summer camps where there's singing, dancing, and a lot of other stuff to do. Children come by noon, their energy expended ready for quick meal and a nap, giving the moms some much needed respite. There are friends of my 6 year old who have already enrolled in summer camps, art classes, karate classes twice a week, music lessons on Fridays and swim lessons during the weekend. And I kid you not. To each their own - specially parenting style - but I have been pondering if this is the right way to deal with children and their summer holidays. I don't remember going to any camps, but summer holidays meant chatting endlessly with friends, cycling around the neighbourhood, playing hop-scotch, hunting for some multi-colored weird looking insects, pleading mom for ice-creams and flavoured bottled milkshake treats and an occasional movie outing. All this not a day's event but dispersed over two months. Summer holidays also meant getting bored. Yes, we got bored out of one's wits as we were not allowed to slouch before the television, we did not have iPADs and Temple Run's. So we had to devise our own ways to deal with spending the time on hand. I remember making up stories of our own, playing Name-Place-Animal-Thing game without using a paper and pen, creatively making toys of beads, leaves, sticks, ribbons, and what-not. We did not have an art teacher hovering over us and yet we made some wonderful pen stands out of old boxes, photo frames, scrap books filled with drawings etc. I remember writing my first Enid Blyton inspired short mystery novel during my 5th standard holidays. In this age of instant gratification and sense of entitlement, most children are losing the virtue of patience, being creative without being told how to, and learning to think for themselves. Parents are also in a hurry to fulfill the smallest whims and fancies of their children in the fear of creating any unpleasant childhood memories. All this over eagerness is making life more complicated for both of us. Penning all this down has made my resolve more clear. I am not going to take the easy route and send my children to any summer camp. 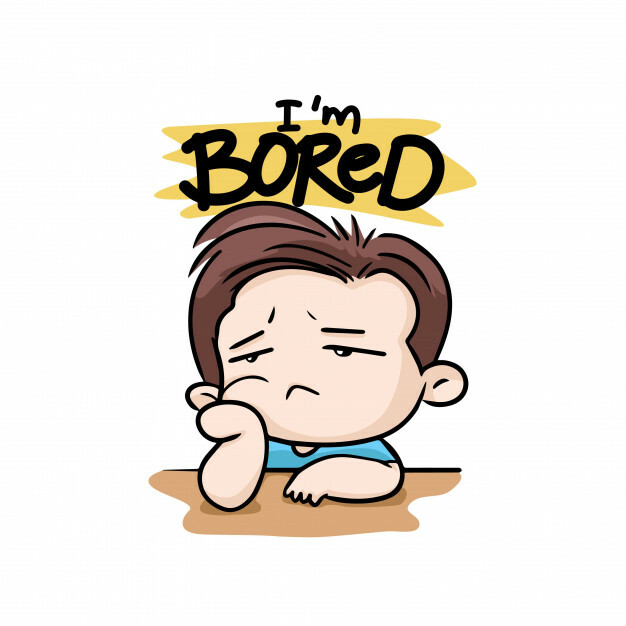 Yes, they might be bored but out of boredom they will learn patience, to think for themselves and learn to creatively use their time. One day at a time. It's going to be hard on them and on me, especially with so many temptations in the form of TV and technology but I am going to try. Excellent, thats exactly what I do every summer. He has a list of chores he does. Then playing starts. I play as much as I can then, he goes out with his friends. Big no to TV or laptop or any of the pads. Your article brought back some fond and bored memories. I loved your paragraph on "instant gratification...". That is so true. The way parents are growing up their children is a disaster waiting to happen. 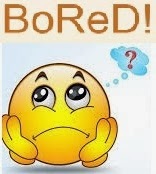 i am often astounded when I see adults post on FaceBook a status such as "I am bored." - - - a part of me wants to be like the 'mom' of the little one and guide and suggest creative options. but I am almost sure it would not be heard. when I was little and I would tell my dad that I was bored, he would look at me and have that astounded look I now get when I hear such foolishness (from an older one - not speaking of little ones who new to the earth are just getting their earth legs). my dad never communicated to me as less than an equal and we would discuss this thing i called boredom. he gave me my first lessons in navigating this earth life. my dad knew ...boredom is necessary too. it is a possible jump off point into creativity as if danced with it can put us into that state/place of quiet which contains all. Why Only 'Balle Balle' Always?